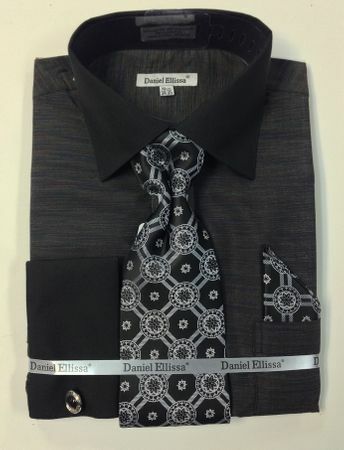 If you appreciate Italian style mens dress shirts that have a unique look, try the dress shirts with the Daniel Ellissa label on it. Featuring a richly textured fabric body and solid black french cuff and collar, this mens dress shirt is made for style time and getting noticed. Made of Cotton/Poly fabric.